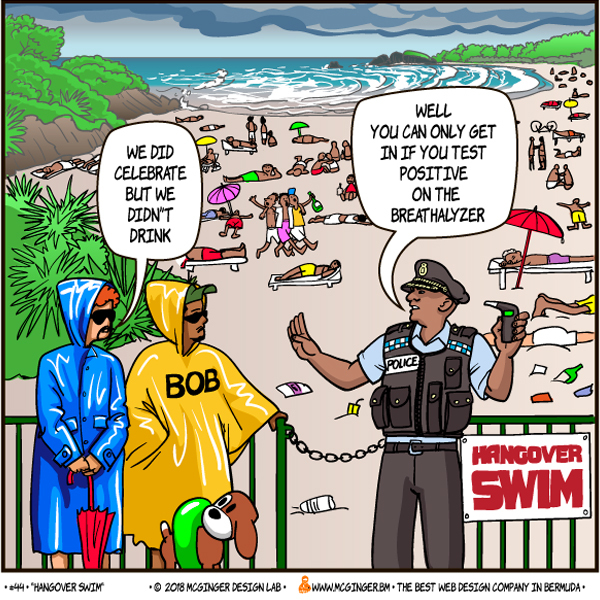 In the tenth of a new comic series from McGinger Design Lab, McGinger notes that what if Hangover Beach Swim was not cancelled? We know that due to the weather Hangover Beach Swim was cancelled this Sunday but What if it would have taken place today? International Triathlon associates itself with a ‘hangover party’? Which genius conceived of this ridiculous minimization of our serious drug problem?